For those looking for a speedy installation, we have our Prefinished range of Oak Internal Room dividers. These doors, frames and sidelights all come ready decorated, and ready glazed for immediate installation. 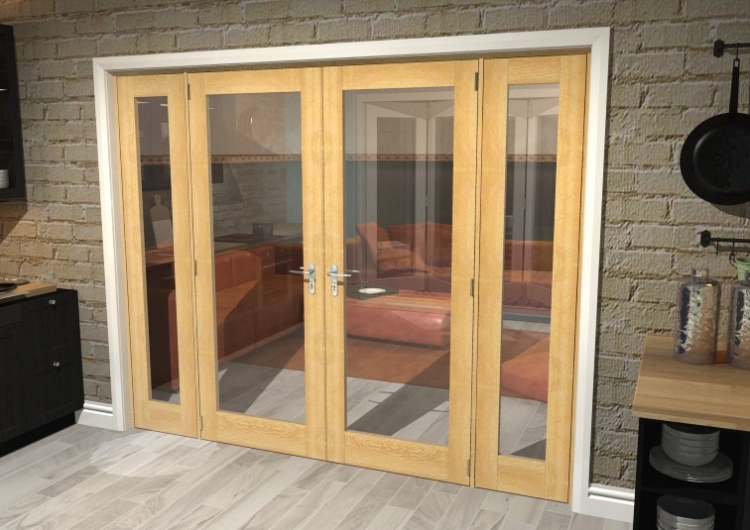 This Oak Prefinished internal French Door system looks just stunning with its factory applied lacquer, and clear toughened glass panels. The Prefinished oak room divider range has an engineered core, ideal for strength, durability and value for money, whilst looking at the true benefits of real oak.